which could add millions of voters to the electorate in time for the presidential election next year. 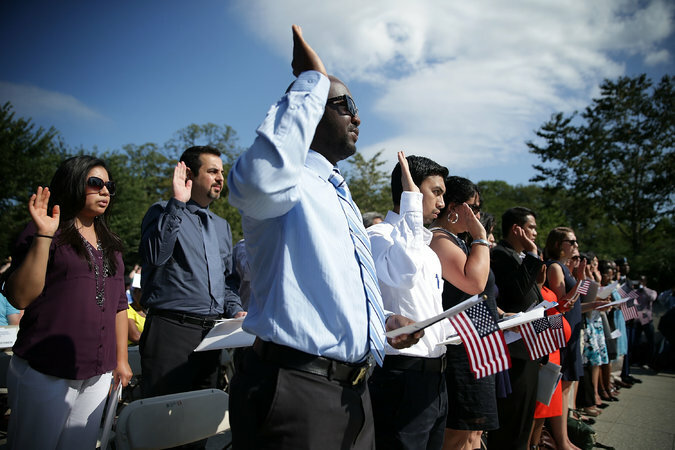 With about 8.8 million legal residents in the country who are eligible to become citizens, White House officials said they were trying to make it easier to complete the final steps to citizenship. The United States Citizenship and Immigration Services, the federal agency in charge of naturalizations, will offer practice tests on cellphones for the civics exam that immigrants must pass, but which many find daunting, and will hold preparatory workshops in rural areas. Applicants will also be able to pay the fee — still a hefty $680 — with a credit card.